Last month it was reported that Microsoft would be shutting down their points system used to purchase virtual goods and arcade-style games over Xbox Live. It was a long time in the making as there likely aren’t many people that prefer the existing currency system but one question remained: what would become of unused Microsoft Points when the conversion takes place? Microsoft recently got around to addressing this concern in a statement sent to Joystiq. In it, Redmond said Microsoft Points in an account will be retired and the customer will be given an amount in local currency that is equal to or greater in Marketplace value. These funds will be stored in the user’s account and can be used just like Microsoft Points to make purchases over Xbox Live. 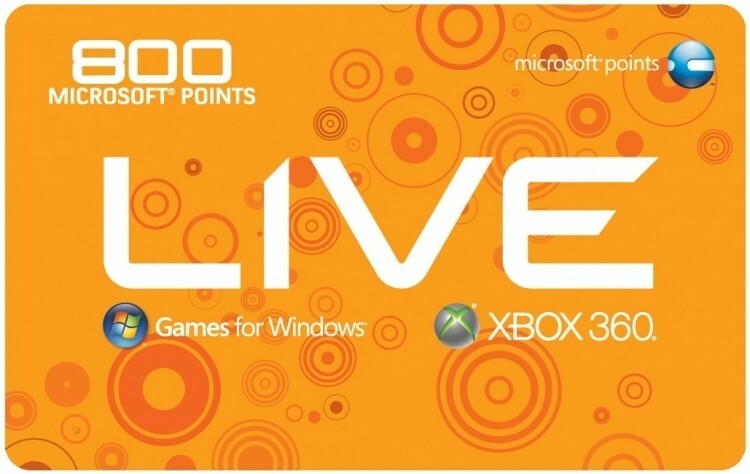 Gamers in North America with a points balance should expect to see $1 for every 80 Microsoft Points or roughly $30 for every 2,400 Microsoft Points. It’s worth pointing out that funds deposited as part of the conversion will expire one year from the deposit date. That said, it’d be wise to spend them as soon as possible rather than forgetting about them and losing your money. What remains unknown, however, is when exactly the conversion will take place. If I had to venture a guess, I’d expect to see it go down later this year closer to when the Xbox One drops. It’s also unclear exactly why Microsoft decided to move away from the points system that has been in use for many years.